Size: 3XL, Color: Granite Heather (Grey) is currently out of stock! Size: 3XT, Color: Granite Heather (Grey) is currently out of stock! Size: 4XL, Color: Granite Heather (Grey) is currently out of stock! Size: 4XT, Color: Granite Heather (Grey) is currently out of stock! Size: 5XL, Color: Granite Heather (Grey) is currently out of stock! 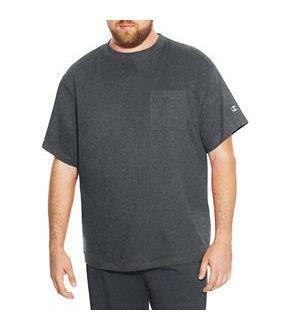 Size: 6XL, Color: Granite Heather (Grey) is currently out of stock! 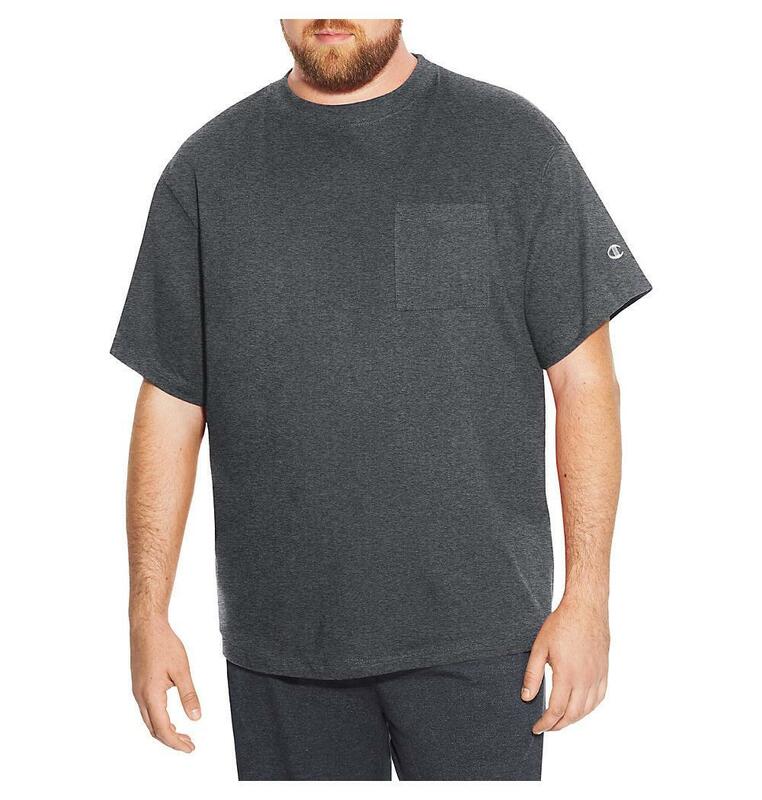 A tee big on cool, breathable comfort from the Champion Big and Tall collection in sizes to 6XL! Generous, athletic fit allows total mobility. All cotton jersey knit is ideal for training or relaxing. Ribbed knit collar keeps its shape. Sturdy double-stitch sleeves and hem. Big: 33-inch length; Tall: 35-inch length. Front pocket with Champion C logo on sleeve.